In August, a few brave Zailab crew members set out on a once-in-a-lifetime expedition to hike the breathtaking Fish River Canyon – the largest in Africa, located in Namibia. The team of fourteen set off in high spirits, despite knowing exactly what they were in for. 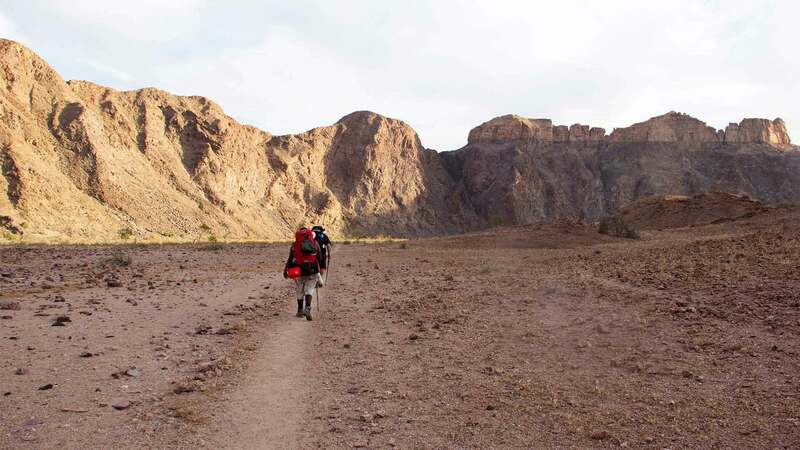 This was the second team expedition to the Fish River Canyon – the last crew completed the hike in five days instead of the recommended six – for the sheer challenge of it. Zailab founder and CEO Nour Addine Ayyoub knows that the best way to get to know his team is to inspire them to push their limits. An avid hiker himself, Nour Addine has not only completed the Fish River hike, but also ascended Mount Kilimanjaro, several times. This year, the expedition was led by Solutions Architect Kornel Steyn and Industrial Designer JP Viljoen, both veterans of the company’s famous Zailab adventures. The trip was characterized by blazing sunsets, memorable evenings around the campfire and unbelievable views. It is a grueling hike, and this year had its fair share of drama with crew members suffering from sunstroke and leopard prints being spotted around the campsite. Not to be outdone, this year’s team also completed the hike in five days, setting a high standard for next year’s expedition. Listen to the audio diaries.